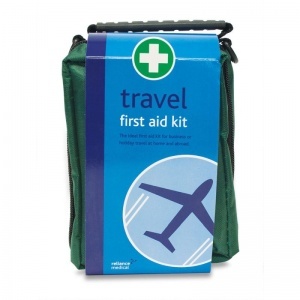 It is good practice to carry a small travel first aid kit to ensure that you well-prepared in the event of an accident when you are on the go. 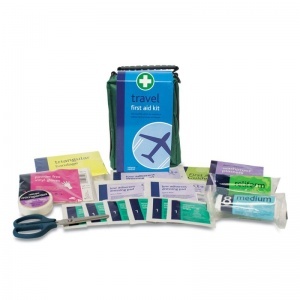 The Travel First Aid Kit in Helsinki Bag allows you to attend to minor injuries on yourself or those around you without intervention of a medical professional whilst you are travelling either at home or abroad. We can't always afford to wait on emergency services when an accident happens, especially if it is only a minor injury. Carrying a first aid kit during business or holiday travel gives you peace of mind that you or others around you can attend to any non-serious incidents quickly and efficiently. What Can You Expect to Find in this Travel Kit? This kit comes in a soft, easy-clean Helsinki bag with an integrated carry handle, and is small enough to it in a handbag, suitcase or glove compartment of a car. All first aid provisions have been approved by medical professionals to use on typical minor injuries. The Travel First Aid Kit in Helsinki Bag is usually dispatched via First Class Royal Mail and delivery should be within 1 to 3 working days.